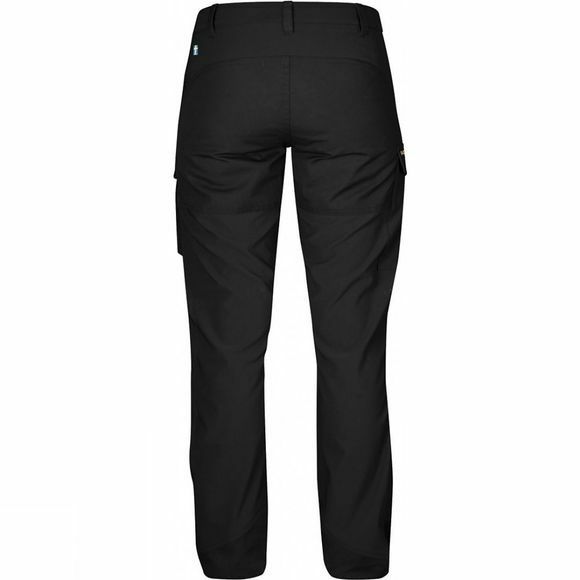 The Women's Nikka Trousers are technical trekking trousers with an attractive fit, made from a stretch fabric and G-1000 for high mobility and durability. Intended for trekking and climbing when nothing should hinder your progress. The rear and knees are pre-shaped for the best possible fit and the waist is lower in the front and higher in the back to fit comfortably when carrying a backpack. An extra piece of fabric in the crotch and the placement of the inseams decrease the risk for rubbing. The zipped hand pockets are placed for easy access even when wearing a hipbelt. 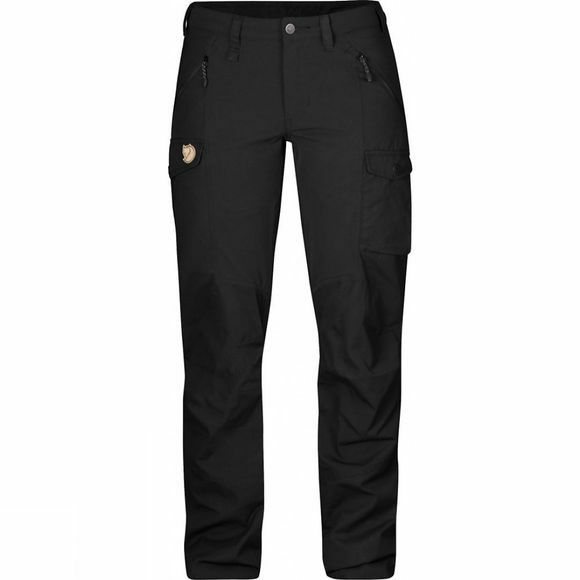 There is a large leg pocket with flap and a smaller mesh inner pocket on the right leg, a small pocket for a mobile telephone or GPS on the left leg. Stretch in the lower back and G-1000 reinforcements at the rear, knees and leg endings. The raw length that can be easily adjusted to your height.